Start out by installing WP Recipe Maker alongside your current recipe plugin (your existing recipes will not be affected automatically). 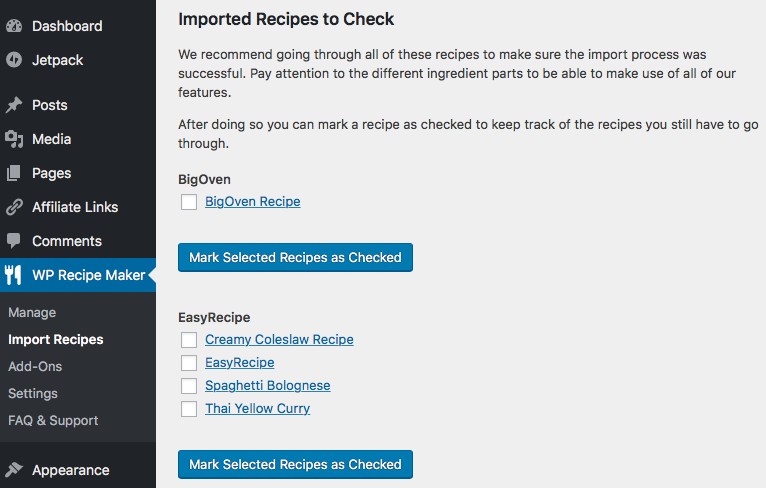 We recommend trying to create a recipe in our plugin first and making sure everything looks good. Before continuing with the import we highly recommend making a backup as well. If things go wrong, you want to make sure you can go back to what you had. We also recommend NOT importing everything at once. Start with just 1 recipe first and check it to see if everything imported as expected. Finally, make sure to check the documentation for your specific plugin for any special considerations. They are linked in the list above! Ready to import? 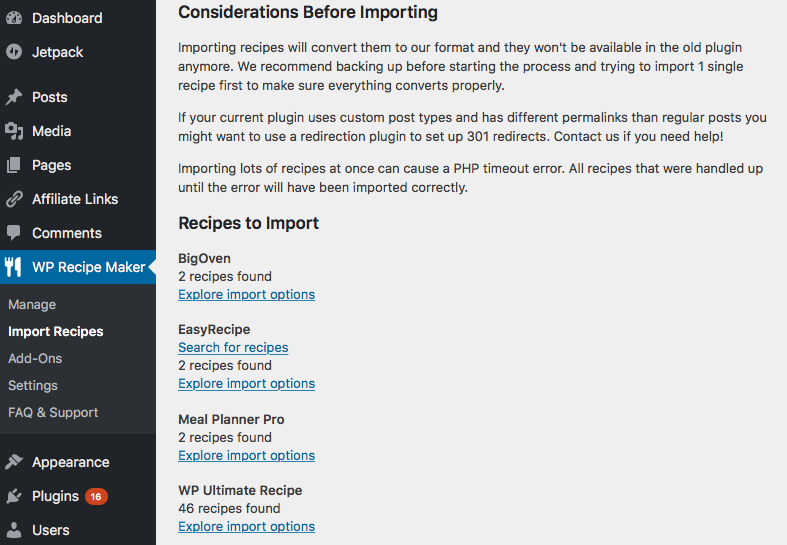 Go to the WP Recipe Maker > Import Recipes page and you'll find and overview of all the recipes we've found on your website. 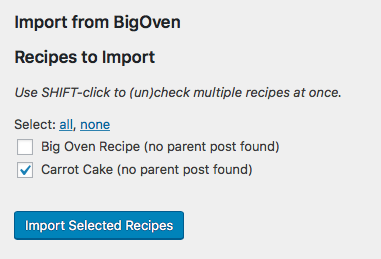 The Explore import options link will take you to an actual list of recipes that are available for importing from that plugin, without importing anything just yet. While importing your recipes is really just the click of a button, we do highly recommend going through each recipe and checking the ingredients. WP Recipe Maker uses separate fields for each ingredient part (quantity, unit, name and notes) while many other plugins don’t, so the conversion there isn’t flawless. Why not clean up your older recipes while you’re at it? Sometimes imported recipes do not have a parent post after importing. If this happens, try using the “Find Parents” tool that can be found on the WP Recipe Maker > Tools page. If you experience any issues at all during the import, don’t hesitate to contact us!